In terms of wine-making, Istria is doubly-blessed with its soil diversity and perfect climate born out of Istria’s geographical position where the Alpine and Mediterranean climates converge. With a major capital investment, Vina Laguna vineyards have been selected and cultivated across Istria’s different terroirs, extracting the best from the region’s natural inheritance. 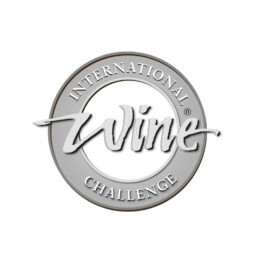 Vina Laguna has won numerous gold, silver and bronze medals for their premium Festigia range wines – Castello, Merlot, Cabernet Sauvignon and Malvazija and for their fresh range Pinot Grigio and Terra Rossa. Red soil (terra rossa) is found closer to the coast and white soil (terra bianche), rich in calcareous clay, emerges as one travels inland to higher ground. It took generations to determine which terroir is best suited to each variety - consequently, ancient indigenous grapes like Teran and Malvasia grow side by side with the international classics such as Cabernet Sauvignon and Pinot Bianco. Select Range – easy drinking wines, light, fresh and low in alcohol, which compliment typical Istrian foods, e.g. fish, pasta, pizza, risotto and salads. Adriana Range – A range of high quality wines produced exclusively for the hotel and restaurant industry. Festigia Range – A premium range of wines – hand-harvested superior grapes from selected vineyards which compliment the best of Istrian cuisine. Celebration of life - well rooted in Istrian ancient culture and cherished traditions with its breathtaking environment and the food & wine derived from it. 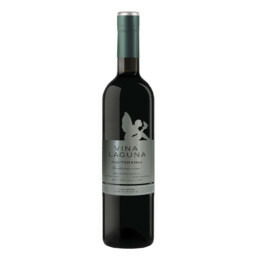 With their unique flavor and fragrances, soft and elegant Vina Laguna wines keep delighting wine experts and wine lovers. 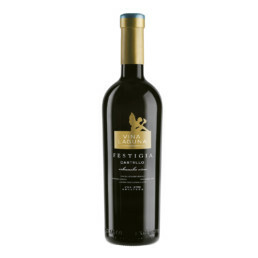 In 2015 Vina Laguna Malvasia wines were awarded 11 medals which included six Gold medals, while their premium Festigia Castello won the prestigious Regional Trophy by achieving "Gold" at Decanter World Wine Awards. 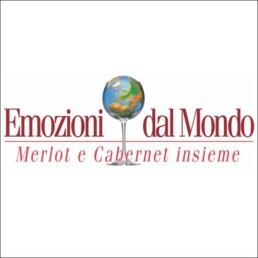 Multiple medals were also won at Mondus Vini 2015, Emozioni dal Mondo, International Wine Competition (IWC) and at international competitions in Korea and France. The acclaim attained by Vina Laguna from world renowned wine connoisseurs confirms the Istrian climate together with the Vina Laguna wine team continue to create a unique product. TERROIR – Positioned at Kaligarići, Lokvadić, Devići and Bezmalinović hillside terrain of S-SW and W exposure and typical Istrian red soil. Due to the sun exposure and warmth, the selected locations have a favorable effect on the wine’s sweetness and development of the distinctive varietal fruit flavors of Merlot. VINIFICATION – Manual harvesting, crushing and grape fermentation by maceration in stainless steel fermenters, immediately followed by malolactic fermentation on fine yeast lees, with continuing fermentation in stainless steel tanks for a period of 10 months. TASTING NOTES – Ruby-red color, blueberry, plum and blackberry aromas, soft, full and mature in the mouth, with pleasant fruity durability. TERROIR – Located on Mornarica hilltop close to the sea, dry and sunny during the day. A typical Istrian terra rossa soil. The sea breeze brings freshness during the warmest summer days and the additional warmth at the end of the ripening period aids development of Cabernet Sauvignon’s natural characteristics. VINIFICATION – Hand harvested in small casks, 8 days fermentation with maceration in Inox vinification, pressing and continuation of the malolactic fermentation in 225L French oak barrels. Continues to mature for 12 months in barrique barrels before bottling. 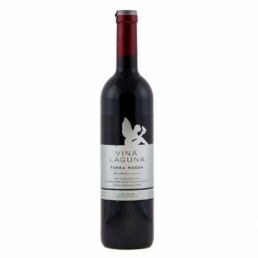 TASTING NOTE – Deep, dark-ruby color, fruity aromas of blackberries and spicy aromas of pepper and vanilla. 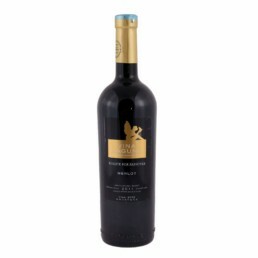 Opens as mature and firm medium structure on the palate with mature sweet tannins of long durability. TERROIR – Location of Vižinada hillside terrain of N-NE exposure. The white soil on the flysch, fresh and deep. The moisture and texture of the soil favorably influence the ripening and the color of the vines, while cooler hilltop nights provide distinctive fruity aromas and freshness. TASTING NOTES – Deep dark-ruby colour with purple hues, forest fruit berry aromas, fresh in the mouth, pleasantly long finish and strong fruit flavour. TERROIR – Positioned at Kaligarići, Lokvadić, Bašarinka and Kršete hillside terrain of S-SW and W exposures. Typical Istrian red soil, shallow and rocky. Selected positions give red grape varieties recognizable Mediterranean warmth while keeping fruitiness, freshness and moderate strength, characteristic of the Istrian red wines. VINIFICATION – Manual harvest, crushing and grape fermentation by maceration in stainless steel fermenter. Each variety goes through a distinctive wine-making process in order to convey its special properties. Teran’s short maceration process gives the wine lightness and freshness. Borgoña makes it light and soft with fruity aroma, while Merlot’s medium-long maceration process gives it fullness and fruitiness with soft tannins. The varieties are merged together after the fermentation process. TASTING NOTES – Ruby-red color, blueberry and blackberry aroma, distinctly fruity, soft, fresh, with pleasant durability and sweet tannins. VARIETAL – Merlot, Syrah, Cabernet Sauvignon. TERROIR – Locations at Devici, Mornarica and Kazaveca with Istrian red soil. VINIFICATION – Hand harvested in small casks, separately fermented, with different maceration times aiming to achieve the best result. Twelve months malolactic fermentation and aging in different barrique barrels, followed by selection and blending. An additional six months in stainless steel tanks and a minimum of two months in bottles before being released on the market. 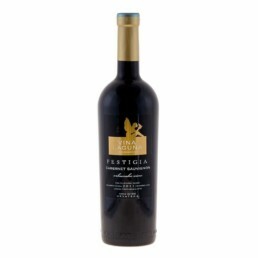 TASTING NOTES – Deep, dark-ruby color, fruity and spicy aromas of blackberries, blueberry, coffee, vanilla and caramel. Soft and warm Merlot, fresh, elegant with the specific aroma of Syrah, firm structured Cabernet Sauvignon are all perfectly blended in this cuvee. On the palate Castello is an elegant, soft and still fresh wine with sweet medium tannins and typical Istrian juicy acidity. TERROIR – Positioned at Kaligarići, Devići, Pajuhi and Pudarica hillside terrain of S-SW and W exposures. Red soil. Selected locations enable balanced aging of Istrian Malvasia grapes and a full aromatic expression of the variety. VINIFICATION – Manual harvesting, grape cooling, processing with de-stemming, short and cold maceration or quick processing without maceration, depending on the location and the condition of the grapes. Fermentation in stainless steel tanks at a temperature of 14-16°C, aging on fine lees yeast for six months with 55% malolactic fermentation of the young wines before pairing. TASTING NOTES – Crystal clear, greenish-yellow color with characteristic flowery-citrus aroma, citrus note of tropical fruit, fresh and light in the mouth, extremely soft and smooth. TERROIR – Positioned on Vižinada hillside terrain of S-SE exposure. White soil on the flysch, fresh and deep. 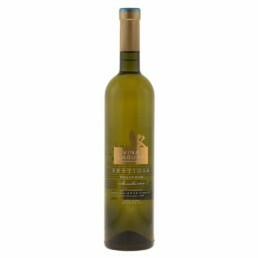 Ideal white wines location, allowing for full aging and sweetness, while maintaining the distinctive varietal aromas and freshness. TASTING NOTES – Crystal clear, a greenish-yellow color of fine white fruit aroma, apple, pear, fresh, harmonious, soft in the mouth with pleasant permanence. TERROIR – Positioned at Podbarat and Pajuhi hillside terrains of S-SW exposure. Typical Istrian red soil, sandy and warm. These locations are characterized by permanent air circulation providing the freshness and aroma of early ripening of white varieties such as Chardonnay. VINIFICATION – Manual harvesting under the protective inert nitrogen atmosphere of the whole grape, fermented in stainless steel tanks at the temperature of 14-16°C, aging on the fine lees yeast (sur lie) for six months. 30% of young wine goes through malolactic fermentation balancing its fresh acidity. TASTING NOTES – Crystal clear, greenish-yellow in color, fine aromas of apples, pear and tropical fruit, fresh and harmonious in the mouth with pleasant permanence. TERROIR – Positioned at Vižinada hillside terrain of N-NE exposure. White soil on the flysch, fresh and deep. Sunlight and soil drainage positively effect aging and colour of the grapes, while cool nights and elevated position provide distinctive characteristics of Terrano – freshly acidic and fruity flavors. 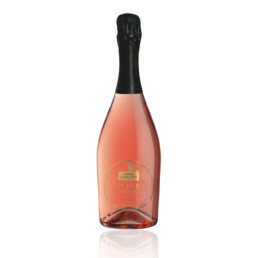 TASTING NOTES – Crystal clear, slightly effervescent, light and airy pink color, fresh aroma of berry flavors, refreshing, elegant, light and smooth taste.